Buhrt Builders Inc. has been family-owned and –operated since 1947, building and remodeling homes throughout Syracuse, IN. We’re well-known for our high-end construction practices, luxury designs, trademark quality and tenured expertise. If you’re looking to remodel your current home or build your dream house from the ground up, we’re ready to break ground. Contact us today for a free estimate. Your home is central to everything else in your life. It’s where you rest your head, raise your family and take shelter from the world. It’s also the embodiment of your achievements and determines your quality of life. Simply put: you deserve a home that’s unique to you and inclusive of your needs and wants. Buhrt Builders Inc. is here to make sure you get it! Whether it’s remodeling your existing home to modernize it or breaking ground on your dream home, we’re the most trusted construction company in Syracuse, IN when it comes to residential living. We’ll make sure your decision to invest in your home is one that you’ll come to love for the rest of your days. More than just another general contractor in Syracuse, IN, our company brings more than 70 years of expertise spread over 3 generations to every home building and renovation project. We specialize in designing and building high-end, luxury homes and modernizing existing homes through upgrades, additions and value-add projects. Our team is well-known for delivering superior workmanship and immaculate attention to detail to every home they work on, and clients love the personalized attention and open communication we bring to every job. If you’re searching for a home builder in Syracuse, IN you can trust with your vision of a forever home, we’re ready to bring it to life. We invite you to consult with us today! We’re one of the oldest family-run construction companies in the Syracuse area, in business since 1947! Our business has a focus on providing high-quality results, no matter the scope or magnitude of the project we’re working on. We strive to always be on budget and on time, keeping estimates honest and barriers to completion low. Our expertise extends to numerous high quality, custom homes and we have a strong portfolio of complete projects to share with clients. We’re proud members of the Better Business Bureau (BBB) and the National Federation of Independent Business (NFIB). 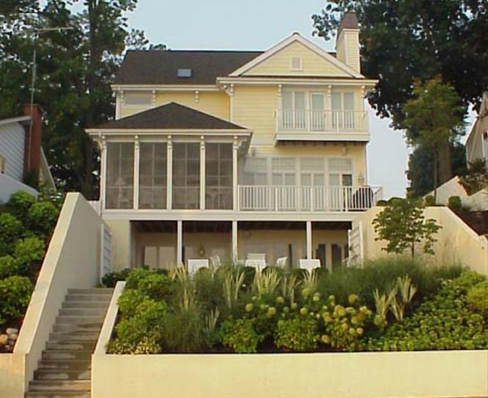 Let Buhrt Builders Inc. lay the foundation for the rest of your life, by building your dream home from the ground up. Schedule a consultation with us today to start planning.